Fast.com is a new site on Netflix’s roster of tools and such that allows users to observe their connection speed live. The site starts monitoring and taking note of your speed as soon as you land on the page. Afterwards it gives you the option of either retrying the speed test or comparing results with Speedtest. 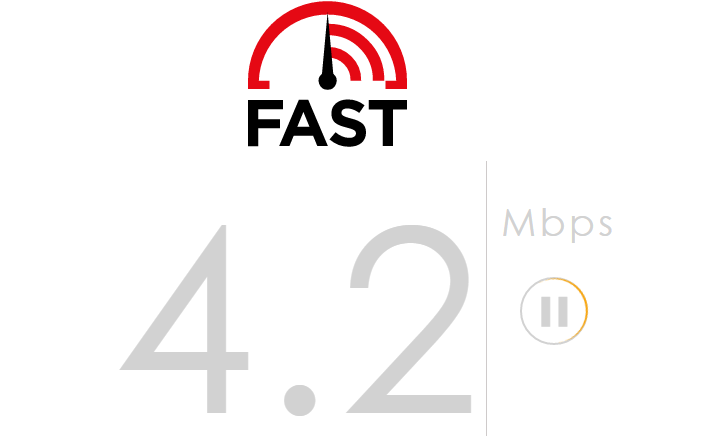 While users could simply use Speedtest and get other information about the connection, Fast.com gives users the main thing you’d probably be looking for if using Fast.com: the speed of your connection.